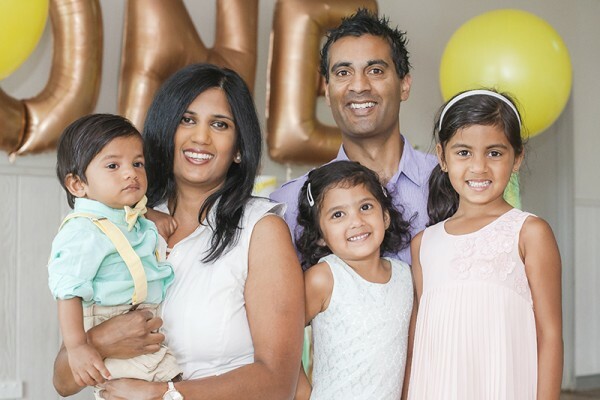 When your mum’s business is to connect parents with magazine-worthy party supplies, you know you’re going to have a fabulous party, even if you’re only turning one. That’s what happened to Joshua, and his first birthday tricycle-themed party was a gorgeous affair. Joshua’s mum Tanya knows how to throw a party. 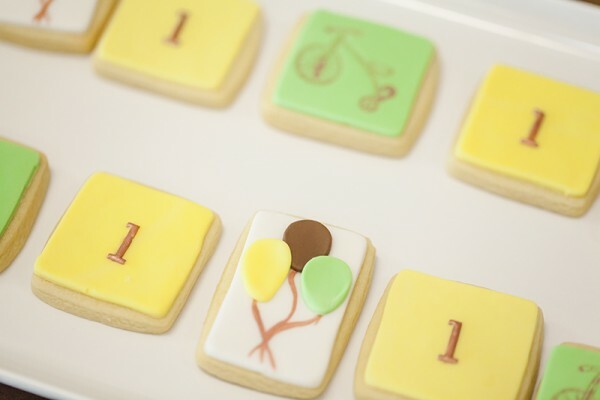 As the owner of Life’s Little Celebrations, a website and blog that brings together party-throwing parents and the best kids’ party vendors, she sees the cutest trends out there. With so many amazing decorations and ideas, it must be hard not to throw a party every weekend. Tanya settles on celebrating the big events, like Joshua’s baptism which we featured on Babyology in 2015, and now his first birthday party. 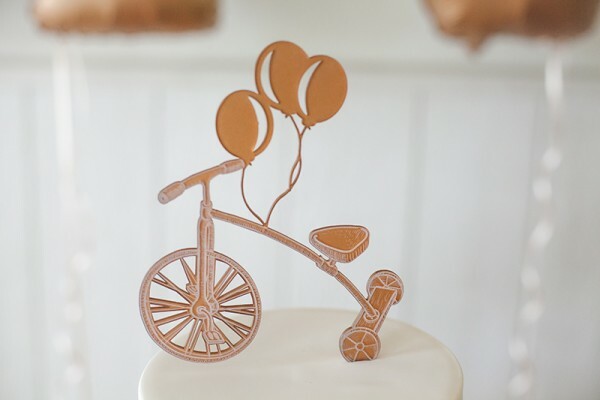 Tanya chose a vintage tricycle theme for Joshua’s party. Her two eldest are girls, and she was saving this party theme if one day she had a boy. 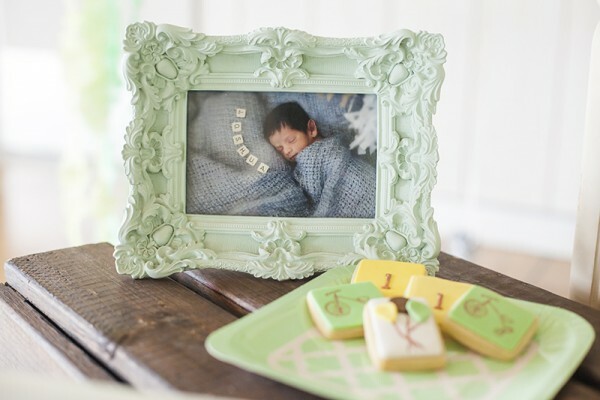 Instead of the expected blue colour scheme, Tanya chose mint green, yellow and copper. The birthday boy’s yellow bow tie and braces ensemble matched the colour theme, as did balloons by Party Splendour, and invitations and printables by Giggles and Grace Designs. 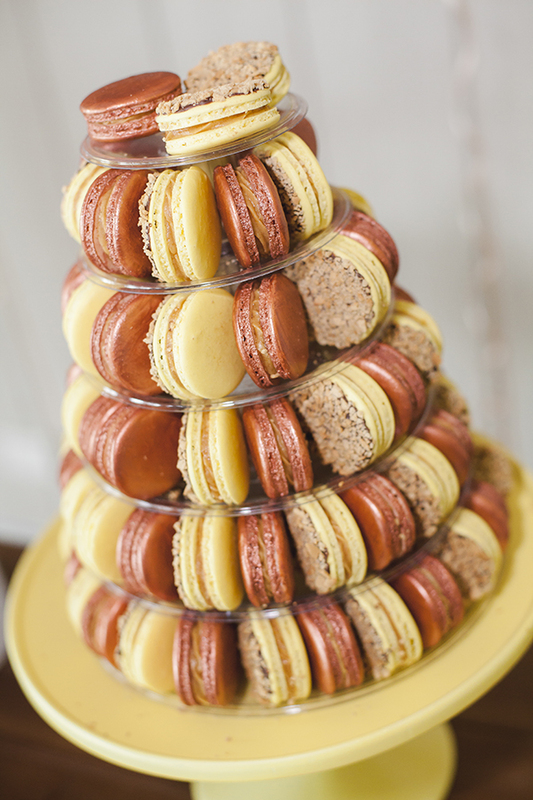 There was plenty to make a guest’s sweet tooth ache at the party, like a tower of macarons by One Bite, and mini sugar cookies iced in mint green and yellow by Sweetcheeks Cookies and Cakes. For delights not quite as sugary, there was also a tower of chocolate-covered strawberries. Decorations and lovely food are all well and good, but we’ll warrant Joshua’s favourite part was the ball pit. For older kids, there was also party entertainment so grown-ups could eat all the chocolate strawberries in peace.